Your website’s title and tagline are two of its most basic elements and are one of the first things your visitors will see. Because these elements are so important, it’s a good idea to optimize your WordPress title and tagline to put your site’s best foot forward. A strong title and tagline will communicate your website’s style to first-time visitors, play a key role in its Search Engine Optimization (SEO), and serve as a central part of its overall branding. In this article, we’ll explain more why it’s so crucial to optimize your WordPress title and tagline, then show you how to get the job done. Let’s jump in! A catchy title and tagline make for a perfect first impression. Your site’s title and tagline serve as most visitors’ introduction to your content. In many WordPress themes, these elements appear at the top of every page – often within the header. The title is typically the name of your site, while the tagline is a short phrase or sentence underneath. They communicate your site’s focus or niche. They can provide a preview of your site’s style and reinforce your branding. Search engines pay attention to titles and taglines, which makes them relevant for Search Engine Optimization (SEO). If any of these reasons have made you reconsider a hasty choice when creating your site, don’t worry. Changing your title and tagline within WordPress is simple and it’s also easy to optimize these elements. 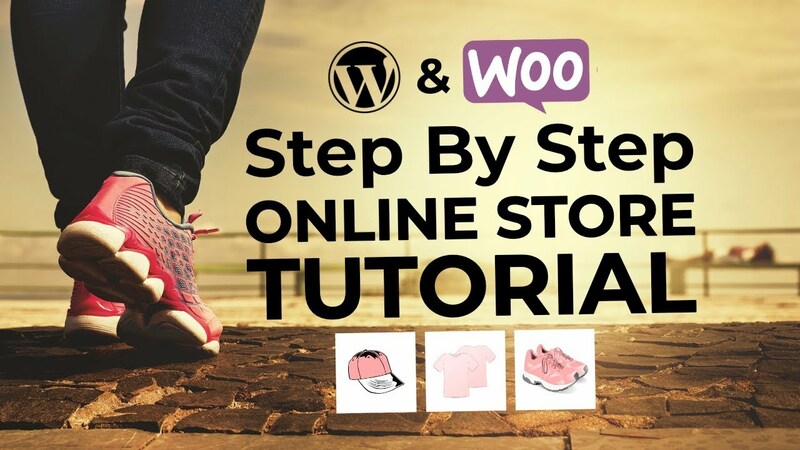 Below, we’ll walk you through how to optimize your WordPress title and tagline. First, however, there’s one thing you may need to do. 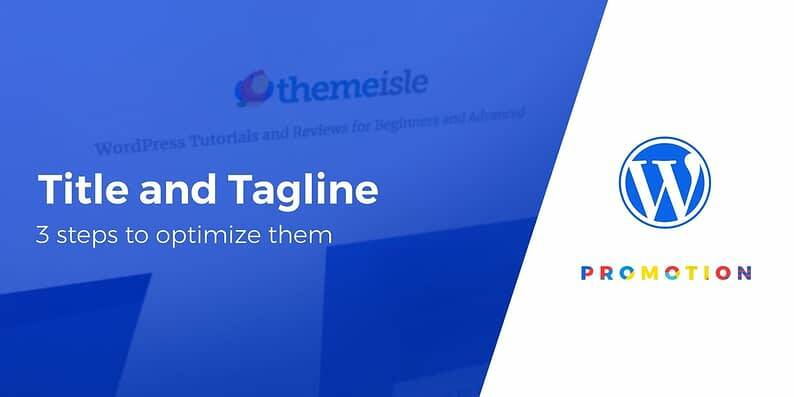 Beyond the default tagline functionality in the WordPress Customizer, another way that you can create an attention-grabbing title and tagline combo is via a WordPress page builder plugin. If you’re interested in more flexibility for showing your title and tagline, especially on your homepage, we’ve written posts on how to build landing pages with the SiteOrigin Page Builder, Divi Builder, and Elementor. Now, we’ll dig into how to actually optimize your WordPress site’s title and tagline! Your title and tagline should communicate the site’s focus and target audience. Your title and tagline are often the first things people will see, so it’s vital that they reflect your site as a whole. If you haven’t done so already, now is the time to determine your site’s niche. For example, what kind of content does your site focus on? You’ll also want to know exactly who your target audience is so you understand what the people visiting your site will be looking for. After this, your job is to come up with title and tagline possibilities that reflect the answers to those questions. They should tell visitors what your site is about and who you’re trying to attract. Obviously this is an individualized process, but here are a few examples to get you started. Coulee Creative’s focus is clear from one glance at the home page, thanks to the use of the term “creative” in the title and the tagline’s reference to “crafting websites”. Plus, the tagline communicates the business’ style and conviction through the terms “friendly folks” and “passionate” respectively. 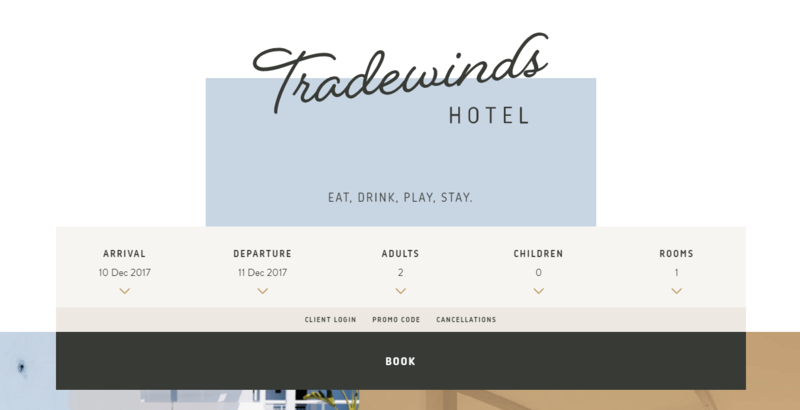 Next, the Tradewinds Hotel is a creative but straightforward name that communicates the business’ industry right away. For the tagline, they went with a simple series of words that tells visitors exactly what visitors can do at the hotel. Keywords like “small business accounting software” are a smart choice for your tagline. It’s important to remember that search engine bots will be exploring your site to learn more about it. Your title and tagline are two of the first things these bots will normally encounter. Therefore, your title and tagline can provide a significant boost to your SEO, which means it’s a smart idea to incorporate keywords within them. Ahrefs’ tagline, for example, incorporates a number of phrases that its target audience is likely to search for. Whether you’re looking to “grow your search traffic” or “research your competitors”, search engines are likely to list this page in their results. NeverBounce have placed the keywords “email verification” and “email cleaning services” in a prominent location. Plus, if you visit the site you’ll see that the primary tagline switches phrases, doing double keyword duty with one line. We’ve written guides on how to research keywords based on your target audience and niche. In general, you’ll want to focus on broad keywords that describe your site’s topic as a whole. Then, you can use blog name generators to brainstorm possible titles and taglines using those keywords. You can boost your branding by incorporating your title and tagline into your logo. It’s important not to optimize your WordPress title and tagline in isolation. They’re often among the first things visitors will notice on your site, so they should be incorporated into its branding as a whole. Branding is essential on your website. Simple elements such as a logo and color scheme help your site ‘stick’ in people’s minds and aid in your visibility online. If you haven’t given a lot of thought to your site’s brand, now is the time. To incorporate your title and tagline within your overall branding, maintain consistency throughout your site and its elements. Consider using a logo within your title, or turning your title and tagline into a logo. 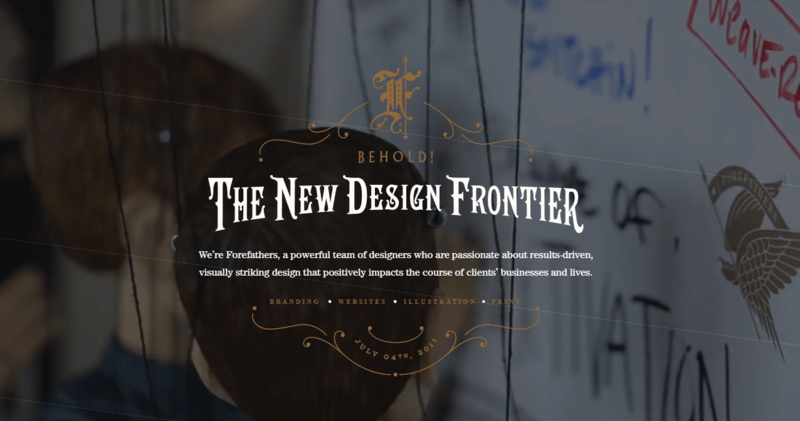 Another smart move is to color the text using the same scheme as the rest of your site. Take a look at the Anew website pictured above. 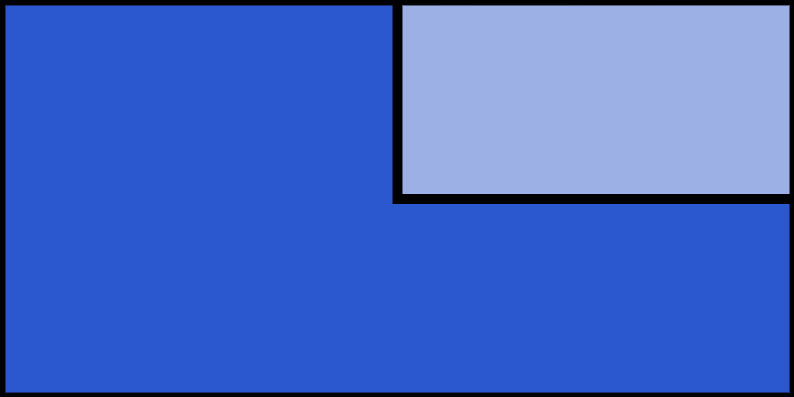 A similar color scheme is used for the logo as well as the tagline, and the title is built into the logo itself. As a final example, check out our own home page. You can see that our logo, title, and tagline all contribute to creating a memorable brand experience. This kind of integration is key to making your site memorable. Most new visitors will spend less than a minute on your site before leaving – unless you catch their interest. Your title and tagline are two vital tools for encouraging people to stick around. When you optimize this part of your site, you’re helping to improve first impressions and better communicate your niche. Consider your site’s niche and style. Integrate your title and tagline with your overall branding. Do you have any questions about how to effectively optimize your WordPress title and tagline? Let us know in the comments section below!